New Year, new you…ehm, I mean, new Exchange version. With the New Year just hitting start and Exchange 2016 is about to see its first Cumulative Update, odds are good that anyone still on legacy Exchange versions is thinking about upgrades. With that in mind, we’ve put together a list of 16 things you can start working on how to get ready for your upgrade. Whether you are planning to upgrade to Exchange 2016, migrate to the cloud, or stay on an earlier version of Exchange, it’s (past) time to start getting rid of those legacy 2003 servers. They are at the end of life and out of support, and that makes each of them a ticking time bomb just waiting to cause you a major outage. If whatever they are doing is important enough to keep them, you need to replace them with a supported version. If they are not that important, retire them. Either way, it’s time to get it done. And while you are at it, start looking at each of those connectors, bridgeheads, and custom relays that you have in your environment and get rid of what you don’t need anymore. Ten years ago, it probably made sense to have a pair of dedicated servers just to pass SMTP between you and a partner…but today, there are probably better and more secure ways of doing this. Streamlining your Exchange org will make it easier to support and simpler to upgrade. Exchange 2016 requires that you be running on Forest Functional Level 2008 or later, which means every single domain controller in your entire forest must be running at least Windows Server 2008. What are the odds you still have a domain controller running 2003 R2 out there somewhere? Find it, kill it, and get your AD in order now. Remember, 2003 and 2003R2 are both completely out of support. It’s past time to get rid of them both. But wait, aren’t Public Folders supported in 2016? Yes, yes they are, but that doesn’t mean you need to keep using them. I have yet to find anything for which Public Folders are really the best solution amongst all the alternatives that are out there, including shared mailboxes, resource mailboxes, and SharePoint solutions like team sites, document libraries, and workflows. Seriously, it’s way time you ended your company’s reliance on PSTs completely. They were never meant for enterprise use but wound up being the solution to small mailboxes resulting from costly Exchange storage. It’s a new world in modern Exchange versions, and all PSTs represent is a pain. Pain from discovery, pain from corruption, pain from the loss. And we all know that pain leads to fear. Fear leads to anger. Anger leads to hate. Hate leads to suffering. Yes, PSTs are the path to the dark side. Exchange 2016 requires clients using Outlook be on a fully patched version of Outlook 2010 or later. 2007 and earlier are at or past their expiration date. Get your clients upgraded now since you don’t want to have to develop your migration schedule based on which clients are supportable or not. OWA is awesome in Exchange 2016; if you are using a supported browser. Still on IE8 because of some legacy app? Remind your security team that IE8 is past end of life, completely unsupported, and a security risk. Then sit back and watch that critical LOB app finally get replaced. Starting this month, only the current version of any browser is supported by any of the vendors, for good reason. Are you still routing all your email through legacy IronPort, or worse, not through anything at all? Part of your migration to modern email should be to invest in modern filtering. 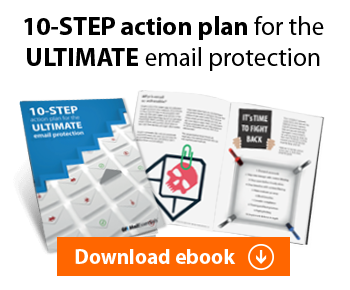 Whether you go onsite or to the cloud, block spam, malware, and phishing attacks before they get to your users’ inboxes. What do you mean, you don’t have an MDM? Mobile is the way to go, and while Exchange ActiveSync policies can do a lot, if that’s all you are using then you probably fear BYOD. Intune, Mobile Iron, Airwatch, EndPointSecurity, and others all offer you control while permitting users to carry whatever they want. Get with the times, get an MDM, and embrace BYOD! Are you archiving? Do you still need to? Maybe you do and if so that is fine. Maybe you need to but you aren’t…yet. Look into email archiving solutions to solve several problems, including data retention, compliance, e-discovery, and continuity. There are products you can install on-prem and there are solutions you can use in the cloud. Whichever way you go, archiving can solve several problems where the cost of storage is holding you back. Take a look at your SPF and MX records to ensure they are correct and current, that your SPF lists all authorized senders and hard fails the rest, and that your MX properly balances your inbound mail and doesn’t still list a dead server somewhere. Not using SPF? Take a look at http://www.gfi.com/support/products/KBID002347 and get it set up. Take a look at the membership in all your Exchange groups including OrgAdmins, RecipientAdmins, etc. and make sure that all the memberships are correct. People change jobs and you don’t want out of date rights to cause a problem later, even if that is only a flag in an audit report. While you are at it, now would be a good time to review permissions to mailboxes (at least high-value ones like executives and shared mailboxes) to make sure access is still appropriate. How many mailbox databases do you have? Odds are good that number includes some you no longer need. Now would be a good time to start rebalancing mailboxes across a smaller number of databases, or better yet, to new ones that will have less fragmentation and are stored on newer drives. That way, as you move mailboxes to new Exchange servers, the moves will go faster and with fewer problems. When was the last time you reviewed your backup and restore strategy to ensure it was fast, efficient, backed up everything of importance, and that you could restore what and when you needed to? 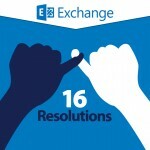 And while you are at it, make sure your solution will work with Exchange 2016, or start shopping its replacement now. The worst time to ever test your Disaster Recovery Plan (DRP) is during an actual disaster. As painful as it may be, you need to test your DRP to ensure you can recover and restore operations quickly and efficiently. If you don’t have a Date Recovery Plan or a Business Continuity Plan (BCP), make sure that is included in your design for Exchange 2016 so that you won’t be in that position with your new system. This is the calendar year where most of you will be upgrading Exchange, so get started on the right foot by making sure your current system is in the right place to support upgrading smoothly. These 16 resolutions will help you get there easily. 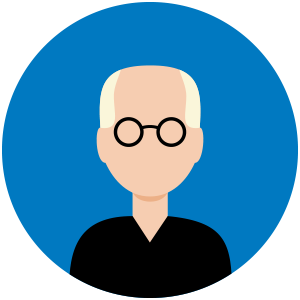 Make sure you check out the related series of posts we have on deploying Exchange 2016 if you want some tips on the actual upgrade process.